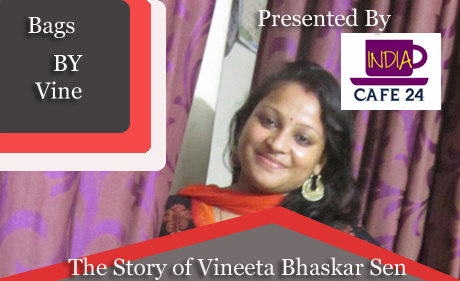 Vineeta Bhaskar Sen- An entrepreneur by choice, who decided to take a step out of her only profile of a Home maker. She was determined to be creative and her effort and dedication made her a creative entrepreneur. Check out what she said………. 1) Its a huge honor for indiacafe24.com to present some talented people just like you to our readers. Vineeta before we proceed further kindly give a brief about your background? 2) When you first realize that you have a hidden talent in you which can be presented in a very creative way? 3) Is there anyone whom you can call as your inspiration or someone who guided you to take your creative passion in the form of a business? Yes , my aunt ( my father’s sister) she has taught Arts n crafts in Fazilka Punjab for almost 15 years. She always wanted me to do something in this line. 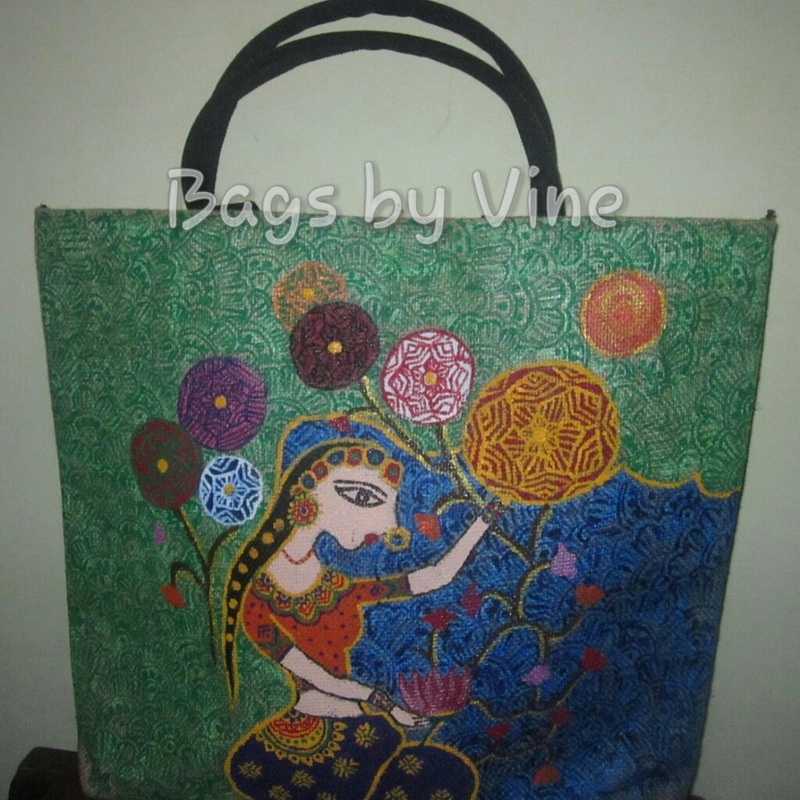 4) Basically you are an artist who hand print elegant designs on bags. 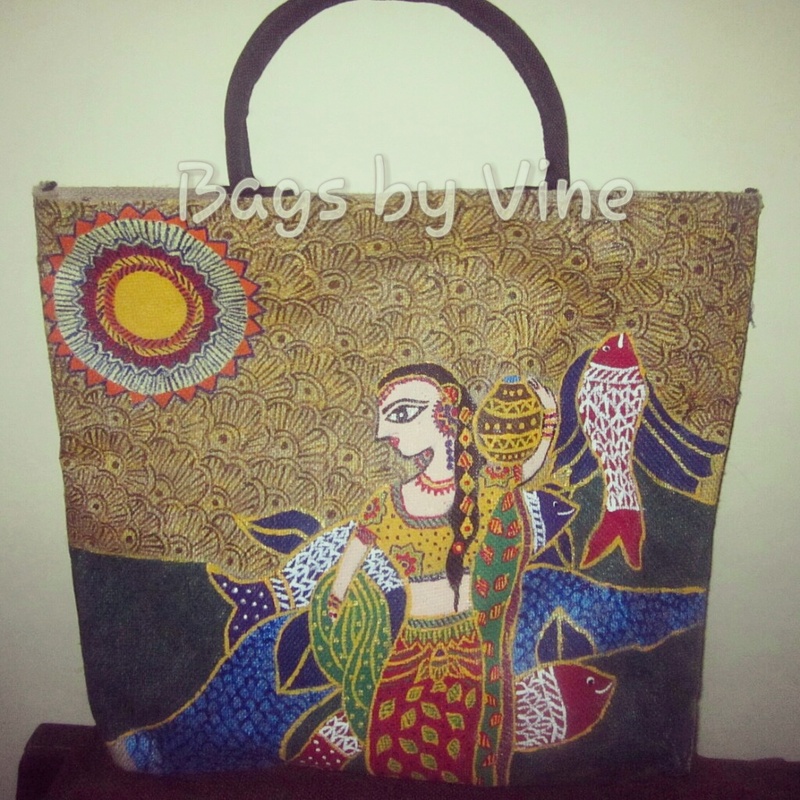 Why you are making your art confined only on bags and why not other products? 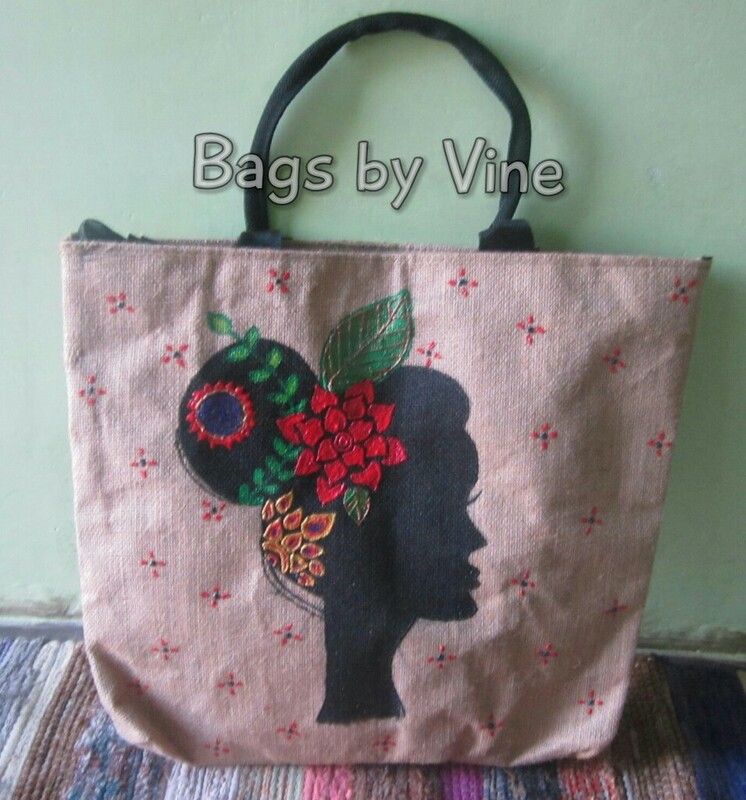 I started this 10 months back only and I wanted to start with something that can be used by women of all ages so handbags came to the rescue… though I have done jute wall painting on order as well and I am thinking about working on ipadcase, laptops bags too in future. 5) When you decided to take a step forward and turn into an entrepreneur? In short how the baby Bags by Vine was born and when? Last year when I was in Srinagar Uttrakhand.. I had some jute fabric and colors given by my aunt.. I tried making Lord Ganesha painting, which was not good in terms of color using technique but my husband Bhaskar and my bestie Ashna encouraged me to do something more . 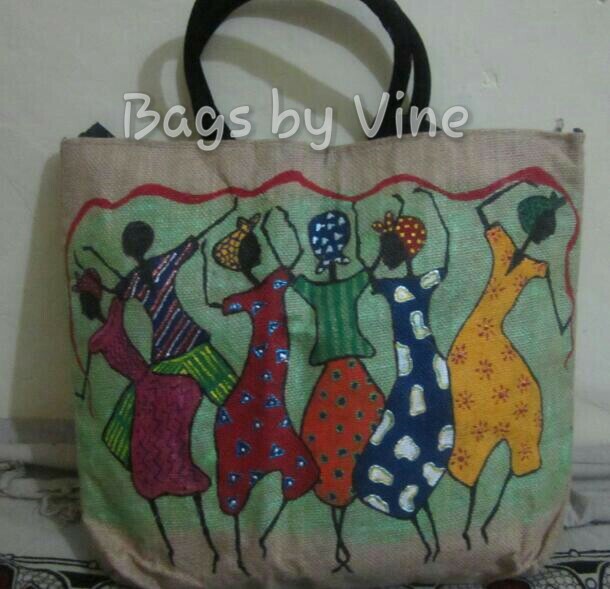 That’s when I thought about making hand painted bangs, and that’s way Bags by Vine was born. 6) What sort of materials you are using in making this unique bags? 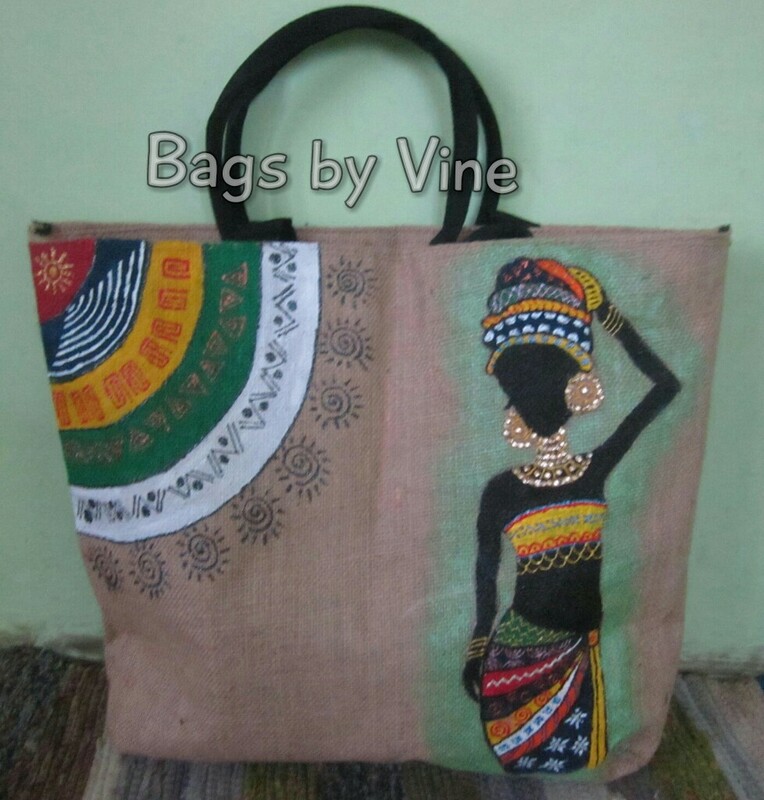 I use jute fabric… jute is very beautiful fabric and is loved by people overseas as well because of its eco friendly nature plus Its affordable too… that’s why my bags are affordable and unique as I want my work to reach to more and more people. 7) You are making different patterns while hand painting the bags, are all designs out of your imagination or you are also taking ideas from other source too? These designs are inspirations from Google modified in my way. 8) If you receive any request for customized pattern or design from any customer can you make that or take such request? I do take customized order and have made 3-4 customized bags …one of them was for Justin Beiber fan. 9) Who are your targeted customers and how you are reaching them? 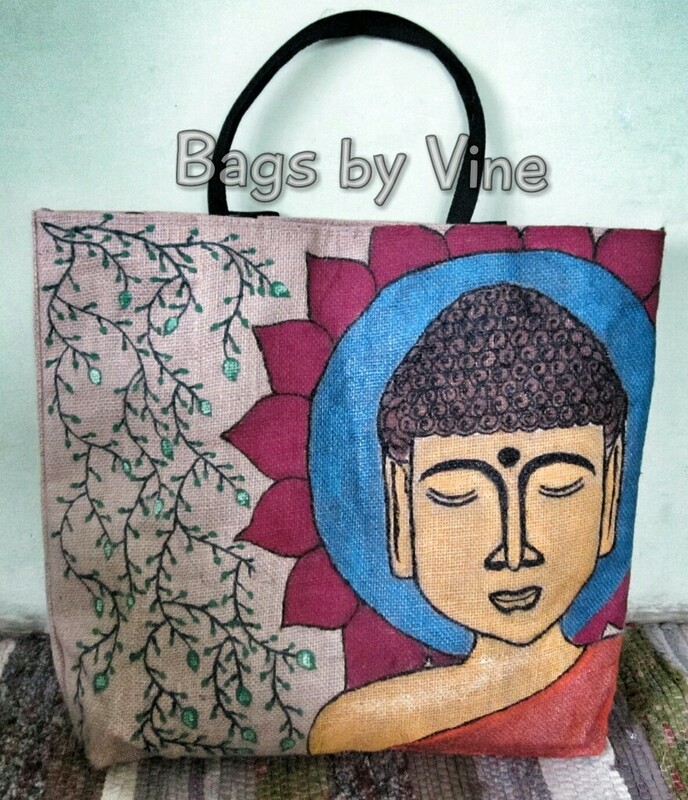 Through this page I reach Bags by Vine buyers. 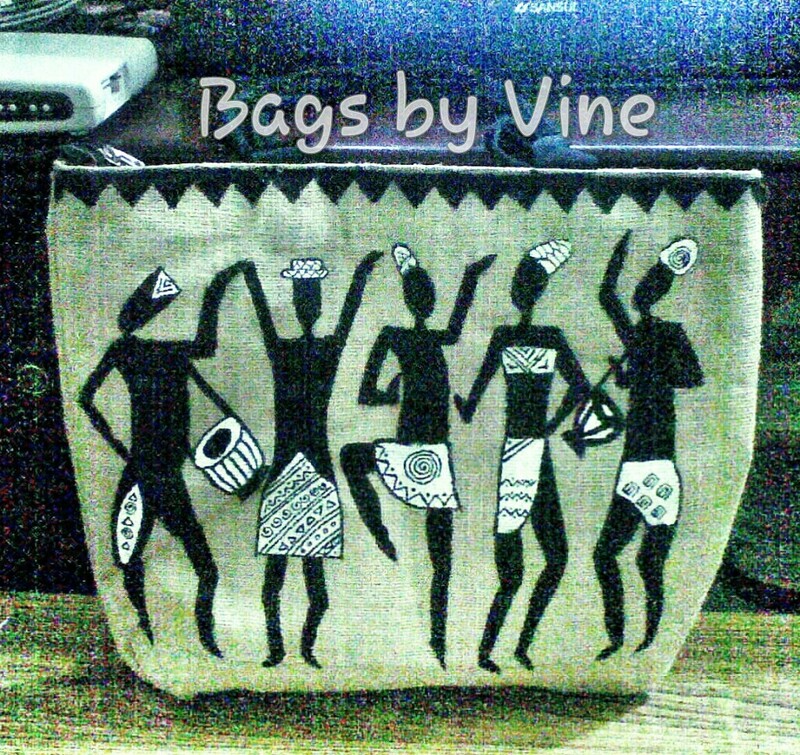 10) What are your plans for Bags by Vine? I am thinking about coming up with jute slings, ipad and laptop cases. 11) We would like to know how you are maintaining a balance between your passionate work and family? Whats the secret behind it? The secret is my love for sleeping late 😀 I paint only when my daughter sleeps 🙂 this way I could give time to my daughter as well as to my passion. 12) What are your views about Women Entrepreneurs in India and their prospect? Women here in our country are more creative than men. We all need to just know our worth and spread our wings and fly. We all are unique in our own way. We are enhancing, directing, changing the face of how business is done today. Though we still need to create awareness on gender equality in many areas of our country. If we consider ourselves as equal to men, then only we can touch the sky of success. I have not taken any bulk orders yet but yes I am open for it…though I would need more time for it . As I am the only one who works at Bags by Vine. 14) Share some WOW moments in your journey so far? That would be when I got International orders for German and Canadian customers and icing on cake was when my German customer sent me pics saying that they loved my work. 15) What are your other passions in life? I love traveling, shopping and cooking for my family. 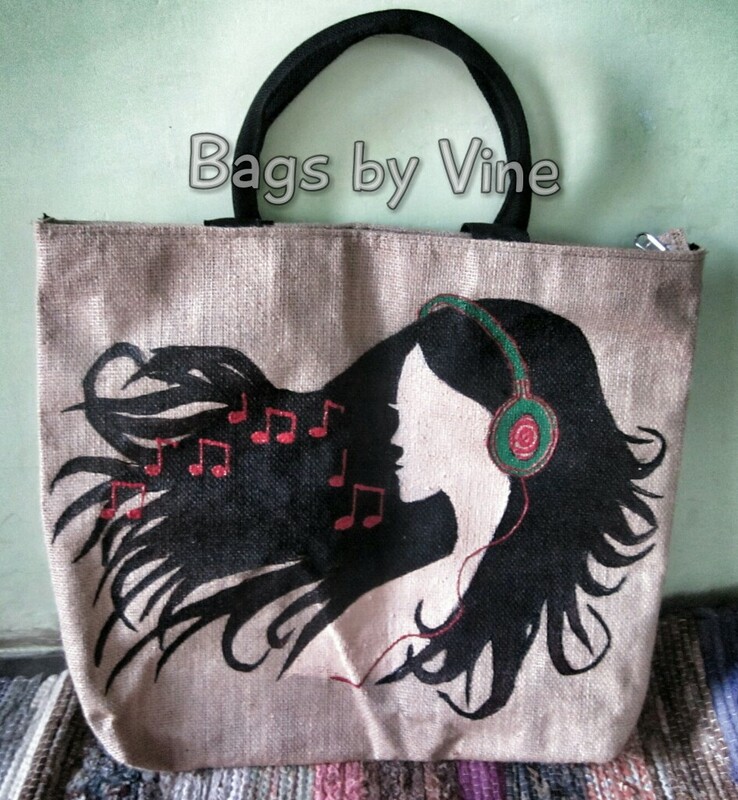 16) Describe Vineeta Sen of The Bags by Vine in online? A super crazy woman with few drops of creativity and uniqueness.